Hey guys! 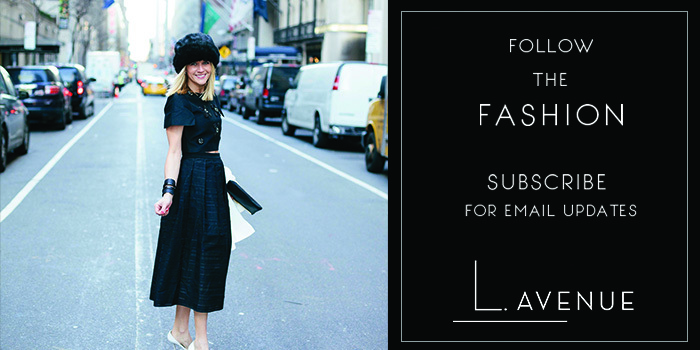 We are teaming up with Lumilla Mingus handbags and giving away this gorgeous navy suede clutch. I discovered this handbag line last year and fell in love. The colors are neutral and the designs are sleek. I love simplistic details and the clean lines. 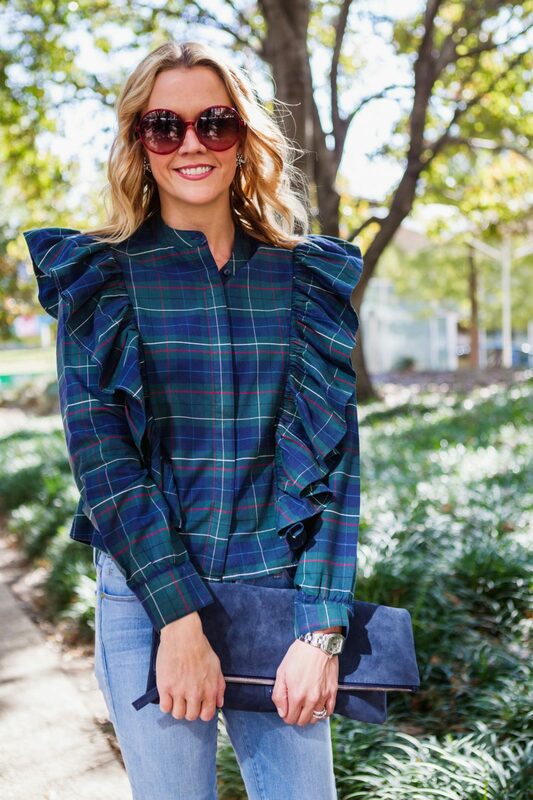 These bags are easy to dress up for night or down for day just as I paired this clutch with denim a plaid ruffle top and my go to booties. 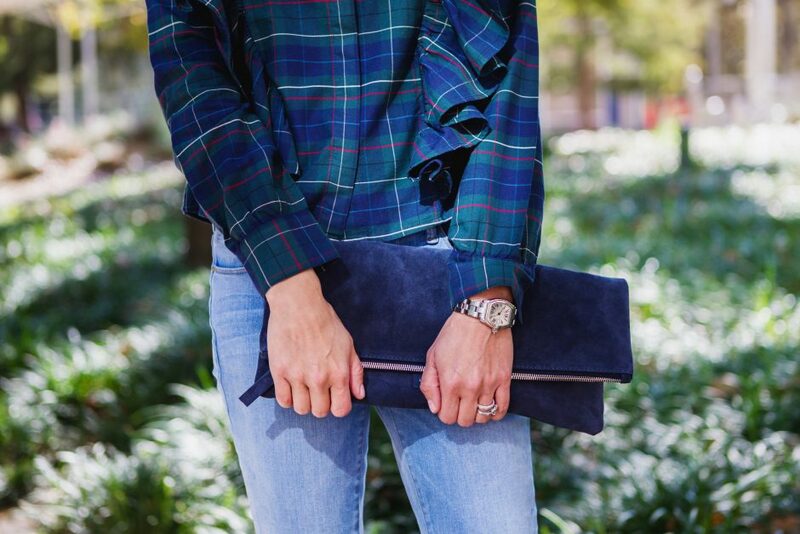 Don’t forget to enter to win this suede beauty as it is the perfect navy accessory on Instagram tonight!